It’s Time D-Heads! 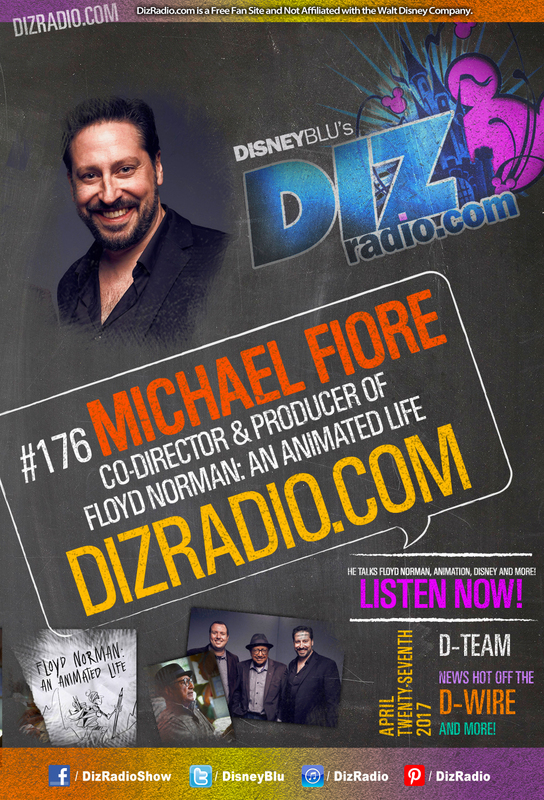 This week we get animated and up on the storyboard wall as we welcome MICHAEL FIORE (Co-Director & Producer of Floyd Norman: An Animated Life) to the show! 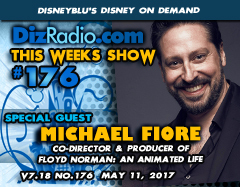 Michael stops in and talks about what it was like to make a documentary about this Disney Legend Animator, Artist, Storyboard Artist, Writer and more! He tells Floyd’s story, how you can hang out with Floyd, highlights filming this documentary and more! In addition no show is complete without the D-Team and Domenic stops in with his Disney Short Leash to give you some tips and tricks for a quick Disney World Trip, and we have Paige with the symphony for your ears in the Magical Music Review while you have the question and Erin has the answers in I Want To Know! Randy is here giving you the latest in Disney Multi-Media and Caitlin gives you the lowdown on the latest from the Walt Disney World Resort in WDW-in-2! There is news fresh off the D-Wire with the latest news Walt Disney World, the Magic Kingdom, Happily Ever After, Wishes, Guardians of the Galaxy, PEZ, Doritos, Animal Kingdom, the Haunted Mansion, Aladdin Live Action Film, Epcot, Disney Cruise Line and more!